This week's spotlight stallion is Noble Mission, an 8-year-old son of Galileo that stands at Lane's End. Noble Mission may have started his racing career known as 'Frankel's little brother', but he concluded it as a three-time Group 1-winning millionaire and champion. Noble Mission made just one start as a 2-year-old, finishing second in a one-mile maiden event. He then returned to the racecourse the following April, breaking his maiden in his debut, then capturing the Listed Newmarket Stakes in his next start. After finishing second in his next two starts – the Listed Fairway Stakes and the G2 King Edward VII Stakes – Noble Mission returned to the winner's enclosure in the G3 Gordon Stakes. Noble Mission raced twice more that season, ending his year with a runner-up finish in the G3 St. Simon Stakes. Noble Mission continued to race at age four, winning the Listed Tapster Stakes and finishing third in both the G3 John Porter Stakes and G3 Rose of Lancaster Stakes. However, it was as a 5-year-old that Noble Mission really blossomed, winning five of seven starts, three of them Group 1's – the Tattersalls Gold Cup, the Grand Prix de Saint-'Cloud, and QIPCO Champion Stakes. He was named Champion Older Horse in Europe that season. 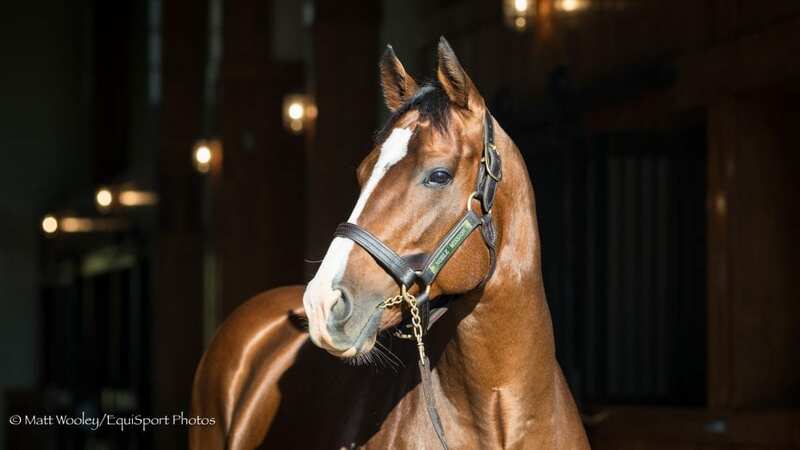 Noble Mission retired with a record of 21 starts, 9 wins, 6 second-place finishes, and 2 third-place finishes, for total earnings of $2,202,887. Noble Mission entered stud in 2015 at Lane's End. His first crop are yearlings. This entry was posted in In The Stud, Videos and tagged Frankel, Horse Racing, in the stud, Juddmonte Farms, Lane's End, noble mission, Prince Khalid Abdullah, thoroughbred by Paulick Report Staff. Bookmark the permalink.